It’s not often that a giant magical tree stars in a Hollywood mega blockbuster film. And what could possibly connect it to a key story in the transformation of Northern Europe from pagan-worshippers to Christians? These are the kinds of thoughts which wash around my brain after an invigorating mental workout at the Oxford Real Farming Conference, about which I wrote last week. The film in question is director James Cameron’s 2009 blockbuster Avatar, where the very tall blue indigenous people of the planet Pandora live in their sacred Home Trees. One of these is deliberately destroyed by the colonising humans, who are intent on obtaining access to an unimaginably valuable mineral resource which sits under the tree. There are other even more sacred (and magical) trees in Avatar – and I wonder whether James Cameron was influenced at all by the story of St. Boniface. St. Boniface was a Christian missionary from Devon. Boniface’s original name was Winfrith – which by strange coincidence was the village chosen in the 1940s to host the UK Atomic power research facility, and just down the road from where I am writing. Winfrith travelled to what is now western Germany to help with the conversion of the pagan Franks living in that part of Germany to Christianity. He found some continued to worship a sacred Oak tree, later called Jupiter’s or Donar’s Oak. Boniface, with the help of some followers started to chop the immense tree down. Legend has it that as the first axe-cuts were made to the tree, a great wind blew up and split the enormous trunk into four equal pieces, imperilling the fellers. But Boniface emerged unscathed from the ruins and it was deemed a miracle. The pagans were so impressed by this miracle that they gave up their pagan beliefs. The tree’s timber was then used to build a church dedicated to St Peter, near the site of the sacred tree. Boniface went on to become one of the most significant founding figures of the Church in Western Europe. This story neatly summarises centuries of activity, where sacred trees and other natural features, such as sacred wells and springs, were either expunged from the landscape, or appropriated into Christianity, at least until the 16th Century Reformation. At this juncture, the new Protestant faith rejected the false idolatry of shrines and images – and a further wave of desecration – literally meaning the removal of sacred objects – took place. Have any sacred trees survived to this day, especially in our mainly secular society? You might be surprised that they do, and in the most unlikely places. It’s coming up to the tenth anniversary of my father developing, what would be for him, a fatal form of cancer called Acute Myeloid Leukaemia. Peter was a lifelong, die-hard West Ham fan, having been born within a few hundred yards of the Boleyn ground in Upton Park, West Ham, in East London. His father had also been a fan, and had been part of the famous crowd at the first FA Cup final at the new Wembley stadium when the Hammers lost to Bolton Wanderers in 1923. There was such a large crowd (estimated at up to 300,000) present for that game that it spilled onto the pitch stopping the match. Peter was not expected to survive the Leukaemia, but incredibly, he did and in the end had a little over a year’s extra time, before it returned – and he died in July 2010. During this time he had decided that he wanted his ashes to be spread on the pitch at Upton Park, as many lifelong Hammers fans do. When we approached the club they explained that this no longer happens (on account of the players not really wanting to tread on people’s ashes as they played) and that over the last few years, ashes had been interred around a large Lombardy Poplar tree near to the club entrance. We duly arrived at the ground to meet the Chaplain, who performed a simple ceremony as we interred the ashes under the tree. Around the base of the tree were a small sea of plaques and other memento mori, all in memory of Hammers fans, whose ashes had been sent from all around the world, to return to their spiritual home. The tree (and a younger one next to it) had been festooned, time and again, by the grieving relatives of Hammers fans, festooned with scarves, badges and other memorabilia. Time, and the ravages of the weather (and London street pollution) had left some of these as strands of wispy fabric caught in the bark of the Poplar. A rather forlorn looking garden gnome, in claret and blue sat, unblinking, at the base of the trunk. This was clearly a sacred tree. “some people believe football is a matter of life and death, I am very disappointed with that attitude. I can assure you it is much, much more important than that”. My dad wasn’t religious, indeed he was what I would call a fanatical atheist. But he had faith in West Ham, following them through thick and thin, through the glory years when West Ham effectively won the World Cup for England in 1966 – and also through many years of mediocrity and failure. Football has many elements of a religion – a shared faith in something bigger than yourself – opportunities to sing together, the many rituals associated with thousands gathering at a place (of worship) every week. A place where you can forget the troubles and difficulties of daily life, for a couple of hours. Where there are heroes (and villains) to be worshipped – and also idols to knock off their plinths, when they fail. When West Ham sold the Boleyn ground (for a housing development) and moved to Stratford, my mum and I were very concerned about what would happen to the tree and its sacred burial ground. After some cajoling, the developers (Barratts) committed to protecting the tree and creating a new memorial. They asked us for our views about what the memorial would look like and it was gratifying that they recognised how important this place, and that tree, had become. Elsewhere in the world, you will find many examples, in a variety of different cultures, of sacred trees being venerated and dressed, as memorials for people, who were loved and lost. Despite living in materialist secular societies, we still have a deep need to find what I would call a spiritual connection to Nature. 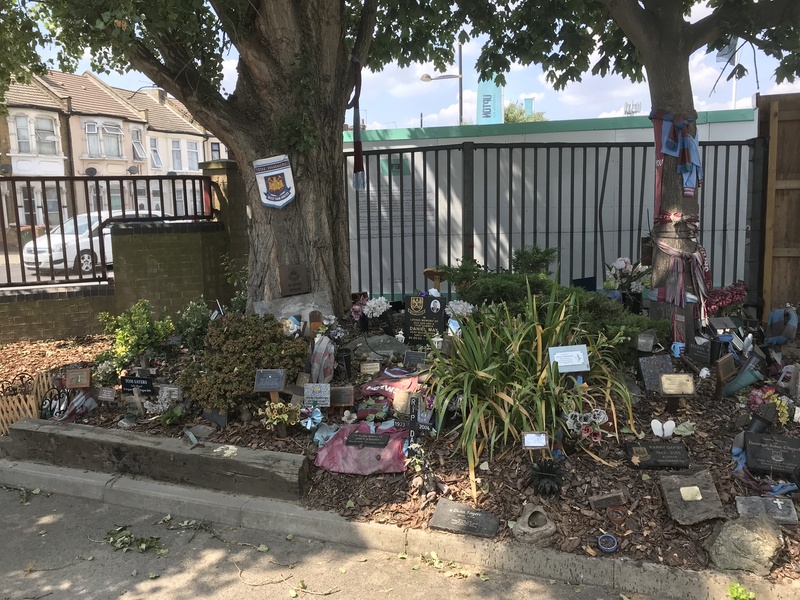 As the West Ham tree shows so clearly, there is no need to formalise this relationship through religion – and few would argue that West Ham has any properties that one would associate with the supernatural. On one level this is about humans, and the things that we need – that Nature provides. Things like solace and the opportunity to remember our loved ones in ways that are healing and strengthening. Last week’s 10th Oxford Real Farming Conference was bigger than ever, with over a thousand delegates attending – and nearly as many again, on the waiting list for returned tickets. The conference was spread over even more venues this year, to cater for the extra people, and the organisers also used a local church/community centre, as the food venue, where an eclectic mix of stalls provided sustainably produced and cooked food, catering for vegans and meat eaters alike. As usual, there were many different sessions covering topics from the ever present questions over how Brexit will impact on food producers in the UK, through to the more esoteric – including soil health, agroforestry and genome editing; to food labelling, land reform, and the county farm sell-off. (As I was only able to go to a small selection of the sessions, this review will be very selective. Lush’s Ben Davis is also writing about the conference so look out for his upcoming piece about about other topics covered by the conference. The conference kicked off (for me) with a session on the Agriculture Bill which is currently passing through Parliament. Sustain’s Vicki Hird joined Tom Lancaster from RSPB and farmer Stephen Briggs to discuss the “good, the bad and the ugly” of the Bill. Vicki expressed her concerns that the Bill was potentially just greenwash and all the fine words about “public money for public goods” would come to nothing if all the powers were handed to Government ministers. Farmer Stephen Briggs was disappointed that so few farmers were actively engaging and seeking to influence the content of the Bill, preferring to “sit on their hands” until the decisions had been made. A far more uplifting session was to be found in the main hall (of the rather grand Oxford Town Hall) where Palestinian seed library founder Vivien Sansour, “the Seed Queen of Palestine” showed a film (which can be found here) which tells her story. It is a story of love and resistance by growing traditional cereals, fruit and vegetables. Sansour returned from working in Mexico to realise that heirloom varieties which the Palestinians had grown for generations were disappearing – these included a special drought resistant “dark” wheat; a giant variety of watermelon and a purple carrot variety, which was used in a traditional dish where it was stuffed with pine-nuts (it was her mother’s favourite dish). Sansour searched for these lost crops – was repeatedly told they no longer existed but did not give up hope. Eventually, she found that they were still being grown (almost in secret in some cases) despite the immense difficulties inherent in that region. Big agribusiness is taking over the land, to grow things like tobacco – as she put it, crops like tomatoes, grown under plastic, which are cheap and have no flavour. Sansour explained how saving heirloom varieties and encouraging farmers to grow them again, brings people together and helps them believe that their lives do have value despite what they are told. She has created a mobile kitchen which cooks food with these heirloom varieties to encourage Palestinian communities to rediscover their food culture. She also made a passionate case to argue that seeds belong to people, not companies, and explained how every grandmother in Palestine used to have a tin full of saved seeds to plant in the next season. From the sublime to the…. Next on stage was Environment Secretary Michael Gove in a session with Labour MP and environment stalwart Kerry McCarthy. Much of what Gove said was familiar and there was little new – although apparently he expressed some sympathy with the Sustainable Food Trust’s Patrick Holden, who asked him when he was going to introduce a Nitrogen Tax, to help reduce the enormous excess of Nitrogen in the farmed (and wider) environment. 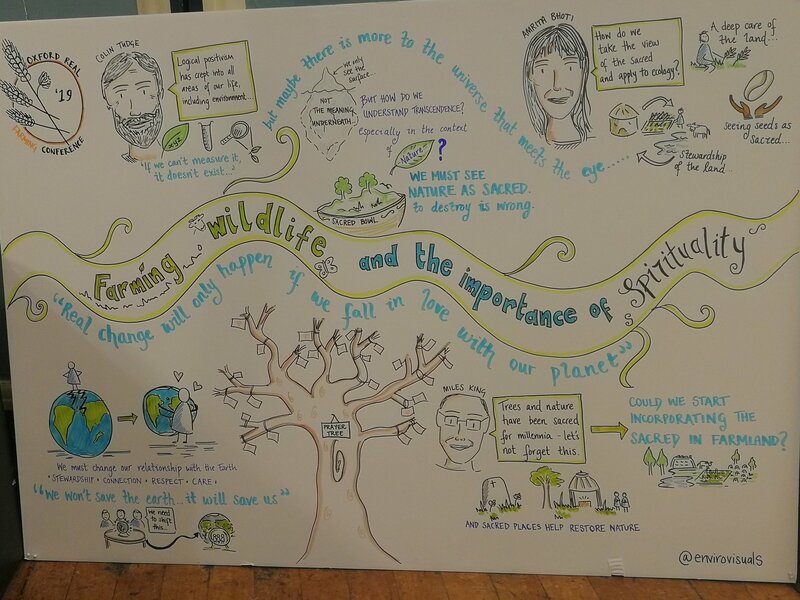 With my People Need Nature hat on, I was involved with two sessions at the ORFC – one was a debate on natural capital, the other, on the spiritual value of Nature. While it would be inappropriate for me to write on how great these sessions were, I certainly enjoyed helping to organise them and take part. The audience was very lively in both and I hope they went away with much to think about on both of these, closely interrelated topics. 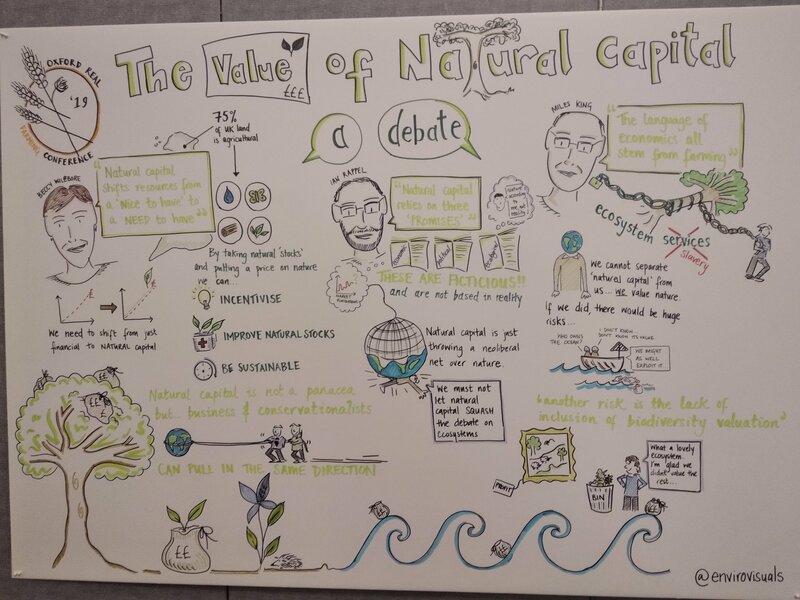 Much of what I said on natural capital can be found in an earlier Lush Times article, here. I set out a bit of a challenge to the audience (many of whom were farmers) asking them whether – and if so how – they could provide opportunities for people to have spiritual experiences of Nature on their farms – and whether these would qualify as “public goods” for which they might be paid by the Government. In truth I think this is unlikely, but you never know. Two French environmental law and agriculture policy experts (Ludivine Petetin of Cardiff University and Viviane Gravey of Queen’s University Belfast) who have made their homes in the UK, provided a very interesting and informative session looking at how the Common Agricultural Policy is likely to change in the coming years, partly as a result of the UK leaving the EU but also because it was going to happen anyway. The upshot of their research (for an upcoming Soil Association report) is that the Common element of the EU-wide agriculture policy is likely to become increasingly weak in the coming years, as each member state adopts its own approach, under a loose common framework. They argued, with strong evidence, that the UK had made its own mess of the CAP by implementing it in unhelpful ways. For instance, Michael Gove had complained that the CAP restricted payments to farmers who owned over five hectares of land and that leaving the EU would enable the UK to support small-holders. Not so! Over half of all EU member states paid support to farmers with less than 5ha of farmland – the UK had just decided not to. In Italy, CAP funds were being used to support care farms – with 400 social/agricultural cooperatives being funded to provide a range of support for social inclusion and care, rehabilitation and education through growing local sustainable food. The UK could have adopted this approach but chose not to. Meanwhile, in France CAP funds had been used to promote agro-ecology through France’s many agricultural schools and colleges. Though this had prompted some backlash against what was derisively called “the new religion of agro-ecology” France also has a grassroots movement known as “We want poppies” where citizens, inspired by agro-ecological principles, are campaigning against the ubiquity of pesticide use. Sustain, the Land-workers Alliance and others, will continue to lobby for agro-ecology to appear explicitly in the UK Agriculture Bill. As has been my experience in the past, I found the Oxford Real Farming conference inspiring and also a great opportunity to catch up with old friends and make new ones. I would certainly recommend it to anyone with an interest in food, farming and Nature. But I also predict tickets will sell out even more quickly next year. It’s been a funny old year, hasn’t it. The Brexit fall-out just seems to have become more and more deranged as the year progressed, culminating in the last few week’s utter chaos. There have been a few chinks of light though. The new Agriculture Bill makes its slow progress through Parliament and continues to promise a new approach to supporting farmers, paying them to provide public goods, rather than just because they own the land. Just last week the first clues to what the new Environment Bill will offer, in the way of a replacement for previous environmental protections provided via the EU, were less promising, but it’s early days and there will I am sure be opportunities to strengthen weak protections. And then we were treated with the excellent news about Lodge Hill last week. This year, sharp-eyed readers of this blog (that’s all of you, of course) will have noted that I have been mainly writing over at Lush Times, then reprinting those columns on here. I have been writing a more or less weekly column over there – and it’s surprising how much time it takes to write a thousand words a week, but I am enjoying it a great deal. Thanks to Lush (and all my friends there) for supporting me and giving me the opportunity to write about the things I care about. Once again, as in 2017, Brexit has been a huge distraction and is probably now a displacement activity for many (including me). Will it cease to be so, once March 2019 passes (assuming it isn’t postponed or cancelled.) Who knows. I have no crystal ball. People Need Nature has not progressed quite as quickly as I had hoped. I really was very naive in thinking that charity funding was out there in the same way that it was in previous times. It has been a shock to discover how little funding is now available. Anyway I will try and make progress with PNN as and when I can. 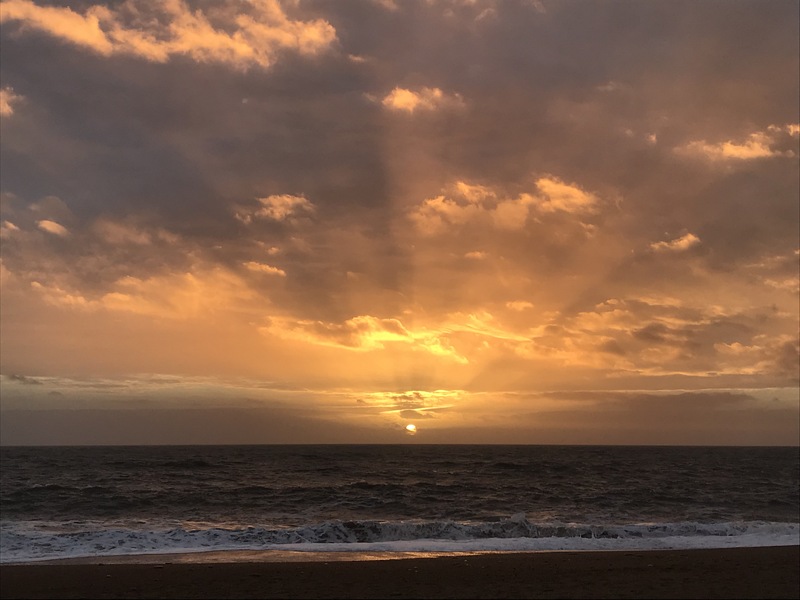 Emphasising the spiritual value of nature and nature as a source of inspiration for creativity continues to be my overall goal – and given how nature and wellbeing is now so well established as a reason for valuing it, I think the prospects continue to be good. I look forward to seeing some of you at the Oxford Real Farming Conference, where I am talking at a couple of sessions, one on the spiritual value of nature, the other on the perils of natural capital. A few of you will also know that this year has been very difficult for personal reasons, which I cannot go into at this time. I’m hoping that 2019 will be much better. So it just remains for me to wish you all a very Merry Christmas/Solstice/New Year – for if you aren’t Christian it is all the same mid-winter/turning of the year, celebration. My Christmas present to you is that I have taken out a subscription to wordpress, so you won’t see any more annoying adverts. At least that’s what I’ve been promised! There was some very unusual good news late last week as Homes England announced that it was no longer pushing for housing development on the protected areas of Lodge Hill – the former military training ground (and munitions works) on the Hoo Peninsula, Kent. Instead they will push for a 500 house development on the former MoD land outside the SSSI. As long-suffering readers of this blog will know, Lodge Hill and its remarkable array of natural history and historical interests, was threatened with total destruction, in the form of a 5000 house new town. Despite Natural England finding the gumption, under severe pressure from conservation NGOs, to notify Lodge Hill as a Site of Special Scientific Interest (SSSI) in 2013, Medway Council and the MoD pushed ahead with their development plans. I have chronicled most of the story on here (search for Lodge Hill). Up until this latest announcement, we were waiting for a Public Inquiry to be called to determine the site’s future. Make no mistake, this is a major victory for nature conservation. 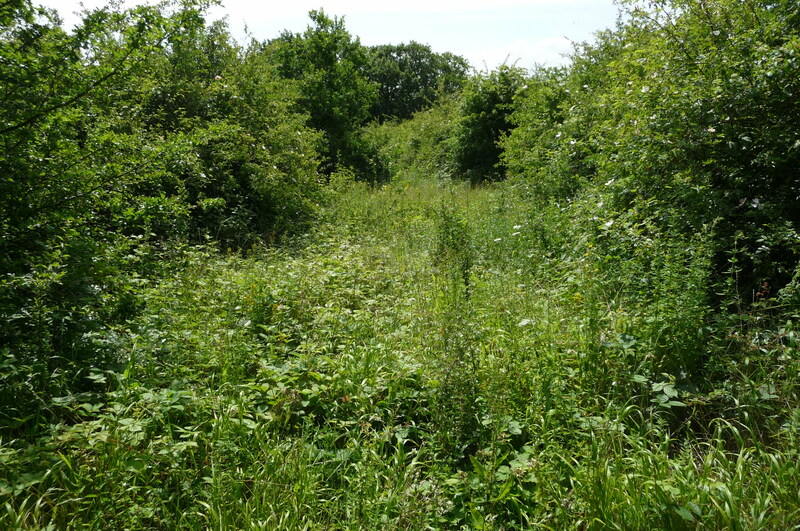 Thanks, at least in part, to “controversial” notifications such as Lodge Hill and Rampisham Down, Natural England has been eviscerated – see my previous blog on Natural England’s demise. Despite their claims, it seems unlikely to me that the hollowed-out remnants of a nature conservation champion had that much to do with this change of heart at Homes England. Nor can I really believe that RSPB was able to bring this about through their continuing efforts. Much more likely is the intervention of Secretary of State for the Environment Michael Gove. Gove may well have felt now would be a good time to persuade new CLG Secretary James Brokenshire that getting 500 houses built on the former MoD land would be a big win, without the controversy that would inevitably accompany a Public Inquiry. Such a Public Inquiry, with the Government effectively arguing for the complete destruction of a site it had protected only a few years ago, would make a big dent in the notion of Gove’s Green Brexit. You may feel that the GGB is a bit of a joke anyway, given the threats to the environment that Brexits of all colours will bring. Nevertheless it’s something that I am sure Gove believes in – and there are still promising signs that the new Agriculture Bill will bring about improvements for nature in the farmed environment. Natural England’s marginal involvement in the decision is also reflected in the fact that Homes England didn’t tell NE of their intention to make this momentous announcement last Thursday. We’re still waiting for a substantial comment from Natural England – other than a rather belated tweet pointing out its key role in protecting the site. Some have complained that building 500 houses near to a SSSI will still be enormously damaging to the value of the site for nature. That remains to be seen, but it should not detract from the importance of this decision. This isn’t just about Lodge Hill. It sends a signal to housing developers and local planning authorities, that SSSI designation is a powerful regulatory tool which can stop housing development. Eight years ago no-one would really have thought that this was something worth debating or even an issue. It shows how much the political and policy landscape has changed since 2010. Hopefully this decision could be a sign that the pendulum is swinging back towards a position where regulation for nature is seen as a good thing rather than a hindrance to economic growth, though there are so many other factors still pointing in the wrong direction that it’s probably far too premature to make such a claim. So let’s congratulate Natural England, Defra and Michael Gove, for making the right decision at Lodge Hill. This is a most unlikely and very welcome early Christmas present for the environmental movement. This week, I’m straying out of my comfort zone, as I’ve been asked to write about homelessness. This feels appropriate, as we approach that time of the year which is inextricably linked to the story of a homeless family searching for somewhere to sleep, being turned away, again and again, until they find a stable where a mother can give birth to her baby. In our small town of Dorchester in Dorset homelessness has become increasingly visible over the last 10 years. The extreme end of the homeless spectrum – rough sleepers – sit in shop doorways under multiple layers of sleeping bags during the day. I honestly don’t know where they go at night, but I have seen glimpses, through the trees, of small tented camps on the wooded slopes of the bypass, and a tent has appeared in the water meadows by the Frome river. I wonder how they can sleep with the constant traffic noise. Nationally, the number of homeless people sleeping rough in the UK has almost tripled since 2010 and with changes to Universal Credit, which mean people in temporary accommodation are unable to pay their rent, these figures are likely to increase substantially over the next couple of years – unless Universal Credit is substantially reformed. Of course homelessness is about far more than rough sleepers. Homelessness, according to the UK charity Shelter, includes people who are in temporary accommodation like B&B’s, hostels, staying with family or friends, squatting, at risk of domestic abuse (which might mean you have to leave home to find a place of safety), living in such poor housing it affects your health; and living apart from your family because you don’t have a place to live together. There are all sorts of reasons why people end up homeless, but one of the main reasons they stay homeless is because they do not receive sufficient financial support, from the State, to find a home; and because there aren’t enough homes available for people in poverty. In rural West Dorset (which includes Dorchester) nearly 1700 families are on the housing register, but only 68 were housed in the quarter to September 2018. The Council is responsible for finding homes for homeless people. It seems like ancient history, but for a large chunk of the 20th Century, local Councils provided housing to the poor, specifically to prevent homelessness. Before this, for the homeless, there was the appalling prospect of ending up in the workhouse. Immediately after the First World War, Councils started building their own housing – initially these ‘Homes for Heroes’ were intended to house soldiers returning from the Great War. Between 1921 and 1932, London County Council, for example, purchased farmland outside London and built 25,000 houses on the Becontree Estate outside East London. My father and grandmother took refuge with cousins in Becontree, when their house (near to the London docks) was damaged during the Blitz. Further Council housing was built after the Second World War and this continued through to 1979 when Mrs Thatcher decided to sell off Council housing, to create that mythical Property Owning Democracy. 4.5 Million Council houses were sold from 1979 to 2013, leaving only 2 million with Councils. Councils also passed over their housing stock to Housing Associations – and there have been more recent moves to allow tenants to buy their housing association homes in an extension of the Right to Buy scheme. In this way the enormous safety net of Council Housing, built up over a 50 year period, has been reduced to a flimsy fabric of holes, through which more and more people are falling. To a large extent, social housing has been replaced by the private rented market, where private landlords are paid to provide housing via housing benefit. Once again this is a kind of privatisation, which sees public funds end up in private pockets. The demand for private rented housing in some areas also encourages profiteering – including charging prospective tenants for basic rights such as viewing a property. One of the many attacks on the public sector and public provision in the last eight years has been the prison system. Prison reform, (a euphemism if ever I heard one), has led to Victorian prisons being closed down and sold off, with plans for private prisons to replace them. Dorchester prison was sold as part of a bundle of town centre sites, to a property developer – City and Country properties. It picked up Dorchester, Gloucester, Shepton Mallet and Kingston (Portsmouth) prisons in 2014, for an unknown sum, but presumably not very much. The developer gained planning permission for 900 homes across the four sites, so you can see that a tidy profit is likely. At Dorchester Prison, the developer proposed that not a single one of the 189 new homes it will build there, will be designated as affordable, let alone social housing. The developers used a loophole in the planning law, introduced by David Cameron’s Government, which meant that they could prepare a secret housing viability assessment, which assessed whether they should be required to provide affordable or social housing as part of the development. Because the assessments are secret, it is not possible to challenge their findings. The Council, although furious, could not reject the planning application on these grounds, knowing it would have lost on appeal (with expensive costs incurred). If the Government were serious about tackling homelessness, it could have handed these old prisons over to their local Councils, and allowed them to borrow money to convert them into social housing, to replace some of the millions of Council Houses that were effectively privatised during the Thatcher era; or it could have used the proceeds from those sales to build new Council or Housing Association housing. Instead, the Government has sold these sites to private developers, for private profit – and the sale money (what little there was) has been kept by the Treasury. Meanwhile flagship housing policy Help to Buy (cost £9Bn so far) provides a subsidy to people who already have the resources to buy property – as well as lining the pockets of those house-builders like Berkeley’s Tony Pidgely or Persimmon’s Geoff Fairburn. House Builders are prominent donors to the Conservative party. This really epitomises the ideology that drives homelessness in Britain. Policies are driven by a belief that the State – whether central Government or local Councils – should not own land or housing – and so every available scrap of public land and housing is being sold off, without any requirement to recycle the income generated into providing decent housing that is available to everyone. Until this changes, homelessness will only continue to rise, with all the suffering, pain, humiliation and damage to our social fabric, that accompanies it. Climate Change is in the news. Global climate policy makers meet today, in Poland, for the 24th Conference of the Parties (COP) of the United Nations Framework Convention on Climate Change. The assembled climate actors will talk of ambitious emissions reductions and how on earth we will adapt to the changes which are already baked in, as a result of greenhouse gas emissions that we cannot, easily or quickly, remove from the atmosphere. With a sense of urgency to be expected where global environmental laws are concerned, this year the COP will seek to agree how to implement what was agreed, three years ago, in Paris. The USA has already withdrawn from the Paris Agreement and Brazil, under its new neo-fascist President, (who believes climate change science is a “marxist plot”), may well also leave. Closer to home, our own Met Office published its first new projections for how climate change will affect the UK, in almost 10 years. Summer temperatures could be over 5C higher than now, by 2070 – and if you thought this Summer was hot, that was only 1.7C higher than average. Temperatures this high will mean that the crops and livestock which currently grow and live in the UK will no longer be suitable. With the sea over 1m higher by 2070, our coastline will also be unrecognisable and millions will have to move. Higher temperatures and changes in rainfall patterns affect human health too – in fact it’s already happening, as this report shows. MPs had already criticized the Government for being woefully unprepared for the Summer’s heatwave and estimate 1 in 5 houses dangerously overheats in such conditions. Imagine what those houses will be like with a 5C Summer temperature rise. It was encouraging, in a small way, to see Environment Secretary, Michael Gove, speak at the launch of the Met Office report. He clearly believes in the threat of Climate Change. It seems less likely that one of his predecessors, Owen Paterson, would have been so sanguine. Paterson oversaw savage cuts to the Environment Agency’s work on climate change adaptation when he led Defra. Shortly after he was sacked from Defra, he made a major speech to the climate change deniers of the Global Warming Policy Foundation. But despite Gove, this Government’s commitment to tackling climate change is – well let’s say, patchy, at best. As chair of the Environmental Audit Select Committee Mary Creagh said last week, the Government’s commitment to climate action, was “incompatible” with its stated policy of supporting the extraction of fossil fuels from the Arctic – the most rapidly warming part of the Planet. What exactly is the Government doing, continuing to support the production of fossil fuels? Meanwhile the backlash continues, against the Climate Change Committee’s proposals for massive land-use and dietary change in response to the Climate Crisis. The farming industry – particularly those involved in producing cattle and sheep – is still trying to argue that red meat is not a climate change villain. Those arguments are shaky. Producing red meat releases Methane – mostly from cow burps. Methane is a short lived greenhouse gas (it lasts 10-20 years) but during its time in the atmosphere it is 24 times as powerful as the more common Carbon Dioxide (CO2). Apocalyptic visions spawn false prophets. One of these false prophets claims that we can replace fossil fuel gas – euphemistically known as ‘natural gas’ – with gas from renewable sources. And one source of renewable gas is to take waste from livestock and convert it into “biogas”, via the process of anaerobic digestion (AD). I have written before about the scam where very generous tax-payer funded subsidies are paid for growing Maize to produce biogas. Some analysts believe that the entire biogas industry is actually just a cover for the fossil fuel gas industry to continue to operate. After all, biogas will need a gas grid to distribute it; and that grid will also be needed if, for example, fracking really takes off in the UK – as this Government hopes will happen. Recent investigations in Northern Ireland have exposed another scam – investors have been persuading small farmers to have large industrial AD plants built on their land. These plants then receive vast quantities of cattle and pig slurry, produced by a burgeoning livestock industry. In fact, as this File on Four programme, explained, the livestock industry works very closely with the AD plant developers to create more intensive livestock production factories, and build more AD plants to take their slurry. And the AD plants attract very generous subsidies, which are paid not to the farmers, but to large agri-businesses or London-based venture capitalists. It’s just another case of subsidies driving all sorts of unforeseen consequences, many of them horrendous. Local activists are fighting back – such as this group campaigning against yet another massive pig production unit. But consider that Northern Ireland’s pigs already produce as much waste as six times the entire human population of the Province, and you can see the problem. And if anyone thinks this gas is “green”, the pigs are fed soya beans grown in Brazil or Argentina, on land that was previously a huge carbon store, which has now gone. Northern Ireland also appears to be suffering from a bad case of regulatory capture, where large agri-industry businesses took over the role of government or its regulators to ensure government policy worked in their favour. Moy Park chicken farms (whose waste also went to AD plants) took over developing the Northern Ireland agri-food growth policy, when the DUP’s Arlene Foster was the Minister for Enterprise. Ms Foster is also caught up in the not entirely unrelated Cash for Ash renewable heating scandal, where empty chicken sheds were heated, just to receive the very generous renewable energy subsidy. Subsidies can help shift behaviour and provide solutions to our problems. Subsidies which supported rooftop solar on domestic and commercial buildings have helped create a sustainable source of electricity, as did subsidies for wind farms. But for some reason the rooftop solar subsidies have been withdrawn and offshore wind farms have been actively discouraged by the Government. Despite this, on a relatively windy day last week wind farms provided a quarter of the country’s electricity and it could be far more, if more wind farms were built (onshore or offshore). Practically every house and every new building could have solar panels. Yet the money (public taxpayer money) flows, via fake renewables, into the pockets of agri-business and venture capitalists looking for easy returns. Meanwhile, the Government makes cosmetic efforts or pays lip service to the need for us all to change – how we travel, what we eat, the products we buy, and how we heat our homes. When will we finally have politicians we can vote for, who realise the dramatic urgency of the situation, and take real action? Or will it be left to radical social action, like the Extinction Rebellion movement. One of the more interesting consequences of having written a blog about Nature and politics for eight years, (aside from a short break between July 2012 and May 2013), is that you can look back at earlier ramblings, thoughts and predictions and see what actually happened. The gradual demise of Natural England – the champion for Nature in England – started way back, when the Coalition Government came into power in May 2010. And on looking back, it appears I have unwittingly been chronicling that demise. So, here’s the story, as I see it. Outgoing Natural England chair Andrew Sells (who will no doubt be looking forward to meeting the Queen to receive his K, for services rendered) recently made an appearance before a very small gathering of the Environment Food and Rural Affairs Select Committee (EFRA). Former RSPB Conservative Director Mark Avery, in his excellent blog, has written about some aspects covered in the outgoing Chair’s hour-and-a-half exit interview – notably that Sells is now in favour of introducing vicarious liability for (grouse moor) landowners. But only after leaving the job where he could have pushed for its introduction. The tone of Sells’ thoughts is one of regret. Sells regrets that Natural England lost its independence from Defra; Sells regrets that “we as a society haven’t been very good” about dealing with wildlife crime. And Sells mourned the 55% loss of resources Natural England have to notify, protect and ensure the good management of Sites of Special Scientific Interest (SSSI). He didn’t even mention the badger cull. Sells was also unhappy about Countryside Stewardship, complaining that the scheme – introduced to pay farmers to manage their land for wildlife, landscape and so on – was doomed from the start; “like a badly designed car…various parts never worked.” This apparently was not Natural England’s fault, but no-one’s; he “can’t point the finger” of blame anywhere. But he did note that Defra had parachuted in managers on secondment to run Countryside Stewardship, so perhaps it was their fault after all. The colossal failure of the Rural Payments Agency in failing to create the correct maps for farmers to use when applying for Countryside Stewardship was mentioned in passing – but since Defra decided to hand CS over to the Rural Payments Agency to run, it seems, as usual, that failure is rewarded. But let’s rewind back to November 2013 when it was announced that Andrew Sells had been chosen to chair Natural England’s board. Sells was a player in the Tory backroom influence machine. He had been treasurer of Michael Gove’s favourite Tory dark-funded lobbying operation – otherwise known as Policy Exchange. Policy Exchange was and continues to be the crucible in which Tory policies – policies promoting less regulation and more privatisation – are forged and future Tory Ministers trained. You don’t get to be treasurer of such a key part of the deregulatory apparatus without (a) being very generous with your cash and (b) believing unflinchingly in the ideology. Sells had also been a key player in the “no2av” campaign. Those who will remember back that far will recall that one of the deals Nick Clegg made with David Cameron (remember them?) was that there should be a vote on introducing proportional representation. Clegg utterly fluffed this once-in-a-political lifetime opportunity to improve our democratic process. But more importantly, a highly effective Tory campaign was set up to kill the idea stone dead. Step forward Andrew Sells – working hand-in-glove with the Matthew Elliott on the No2AV campaign (Sells was donor and fundraiser; Elliott Campaign Director). Matthew Elliott, for those who don’t know, set up the ironically-named ‘Tax Payers Alliance’, which lobbies to get rid of taxes, and the public services taxes fund. Matthew Elliott also ran the Vote Leave campaign in the EU referendum – the one that was found to have acted illegally. Elliott sits at the very centre of the very murky web of right wing lobby groups, which we could call the Tuftocracy, on account of them all being housed in one building in 55 Tufton Street, Westminster. It would not be any exaggeration to suggest that 55 Tufton Street has more influence over UK politics than any other address, including 10 Downing Street. Sells was also generously giving donations to the Tory party – a total of £143k donated up to the point when he became Natural England chair. Before Sells went into politics he made a massive fortune – first as a Venture Capitalist – setting up a private equity firm with John, now Baron Nash. Nash, once ennobled, went on to become a Tory Education Minister, and set up a chain of academy schools. Sells also founded Linden Homes, a house-builders firm which specialised in brownfield development sites. When Linden Homes was sold to Galliford Try, Sells walked away with millions. Sells was chosen to chair Natural England by former Secretary of State for the Environment Owen Paterson. Paterson was famous for a number of ridiculous statements such as “badgers moved the goalposts” – but Paterson’s brother-in-law is Viscount Matt Ridley, a Policy Exchange visiting scholar. Paterson had been vilified in Cabinet over Natural England’s brave decision (though they were being pushed all the time) to make Lodge Hill a Site of Special Scientific Interest. You can imagine the scene – how dare Natural England interfere with the Government’s business of selling off public land to their private housing developer mates (and generous Tory party donors) for private profit? Who did these people think they were? There was a big row in Cabinet. George Osborne was livid. The answer, obviously, was to install, as the new chair; a Tory donor who had founded a very successful brownfield housing developer. As Sells put it to the EFRA committee: “The Cameron era Government wanted much less stick and more carrot.” In other words, stop using the law and start asking people nicely, and pay them, to stop doing bad things. This wasn’t the first time the Tories had given Natural England a good kicking. It’s interesting to note to what extent Natural England’s statutory role of notifying SSSIs to protect our best wildlife sites was abandoned once Sells took over: After a busy year in 2013/14, when five sites were protected, this dropped to zero in the two subsequent years. Only a handful of sites have been protected since then, including the very large West Pennine Moors SSSI. Sells also shook up the Natural England Board, bringing in reps from the NFU, upland farmers and the Game-shooting lobby, alongside conservation NGOs. He also lobbied for Marine Management Organisation Chief Exec James Cross to be installed. NE staff view Cross’ recent departure with relief – he was regarded as weak and biddable. As a result, the Board became more heavily involved in the day-to-day running of NE projects. Interference is the word that has been used. Natural England doesn’t even report on how many new SSSIs it has notified now, just that there is a “pipeline”. Even when it does notify new sites, like this one yesterday, it doesn’t make any announcement to celebrate the fact. It’s almost as if NE is embarrassed about saving wildlife. As Andrew Sells noted “Brexit has consumed Defra”. And Defra, in turn, has consumed many of the best minds in Natural England. Sells claimed he was happy to see NE staff seconded to Defra to work on where to site the emergency food supply dumps, although he had worried they may not come back. At least he need worry about that for only another few weeks before his retirement. 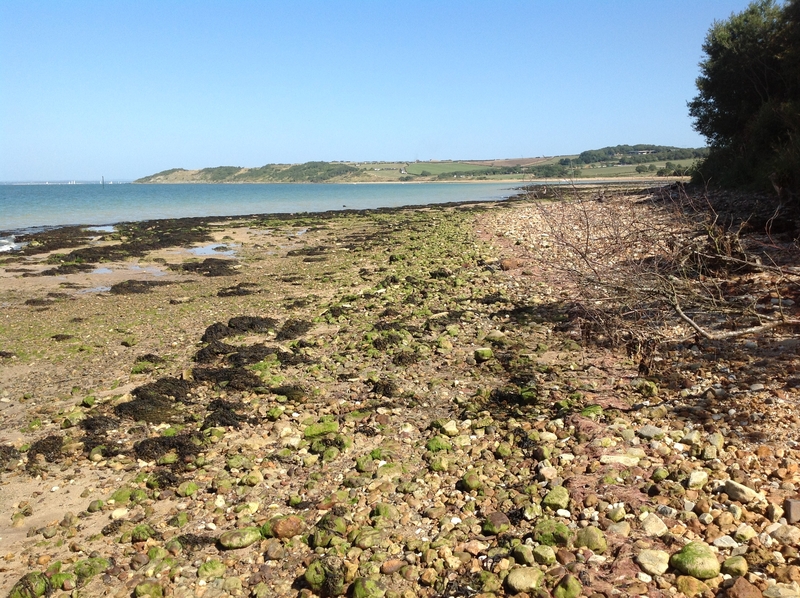 So where does all this this leave Natural England – and indeed England’s Nature? We await the publication of Michael Gove’s second big ‘it’ll all be fine after Brexit’ Parliamentary Bills – the Environment Bill. This will tell us of his plans for a fantastic new environmental regulator. The Withdrawal Bill includes text explaining how this new regulator will replace the work previously done by the European Commission and EU Court of Justice. Forgive me if I’m a little sceptical. And it’s not just me – influential Think Tank, Green Alliance, also express doubt. Bearing in mind that RSPB took a complaint against Natural England to the EC over its failure to stop grouse moor owners damaging internationally important peatlands, it seems unlikely that this new regulator will be just another reincarnation of Natural England. It can’t mark its own homework and be an effective regulator. Now that Natural England has lost its function of paying farmers to manage their farmland slightly less intensively, what role does it have? I would argue its primary role should be protecting England’s wildlife – and that means finishing the job of protecting all sites which meet the criteria as Sites of Special Scientific Interest. This is also probably one of the best ways to identify farmland which would benefit from the new “public money for public goods” approach to paying farmers to farm in an environmentally-friendly way, so it kills two birds with one stone. NE also needs to focus on protecting species which occur outside SSSIs; not through biodiversity offsetting, or net gain, or whatever you want to call it, but by protecting their habitats where they are now. It doesn’t help NE’s reputation when it advises landowners to kill native wild animals, because people might be worried about them. We need a new champion for Nature in England, and will need one more than ever after Brexit. NE needs to evolve again, into a new organisation, independent of Government. That won’t happen until we have a Government which recognises the value in that independence. this article first appeared in Lush Times. What does Christmas mean to you? John Lewis adverts? An excuse for some retail therapy? Religion? Or Pantomimes? It’s a long time since I went to a Christmas pantomime, but they seem to continue to be very popular. 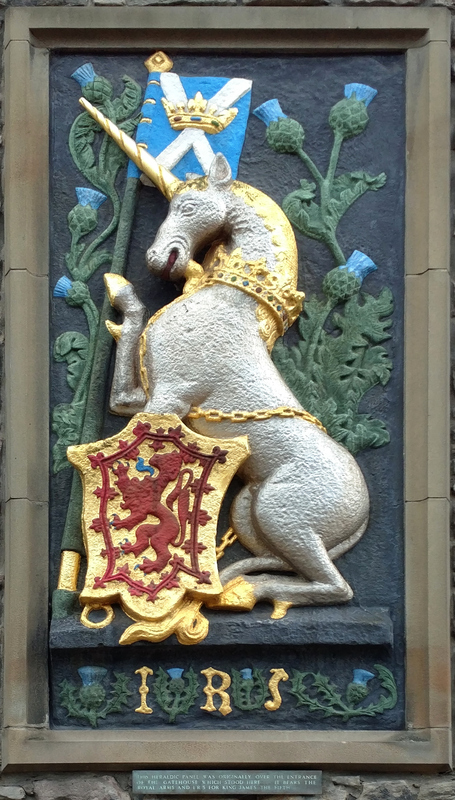 This year, Pantomime season has come early – and the big new favourite is Unicorns in Brexitland. This is the story of the deal which was so good everybody hated it: Michael Gove is Jack with his five magic Brexit beans. Out of the beans grows a beanstalk – Jack climbs up it, into the sunlit Brexit uplands, where Unicorns prance. There’s a magic cake which you can have and eat. And of course there’s a mysterious Irish Border solution – a border which is both open to trade and closed to smugglers and immigrants – all at the same time! This comes with a pot of “no surrender” gold for the DUP. I jest of course. There is no pantomime, except the one we are being invited to watch unfold with each new day. As I write this on Friday morning, Schrodingers Gove may still both be Environment Secretary and have resigned; Prime Minister May’s best possible deal may already have been rejected by everyone, except herself. And Labour may finally have agreed what it’s position on Brexit really is. Meanwhile, more important things unfold. The Climate Change Committee (CCC) has published its latest (in a long line of them) report on how we are going to have to change the way land is used in the UK if we are going to have any chance of avoiding catastrophic climate chaos. It’s pretty stark, but also realistic. Diets will have to change, because allocating so much land to the production of livestock is unsustainable on any number of levels. Naturally, the National Sheep Association has attacked the proposal – claiming that sheep are the best way to solve the problem of climate chaos. You could call this ovine thinking, but that may be being unfair on sheep, which contrary to popular views, can be surprisingly intelligent. But when you consider that sheep grazing occupies perhaps a quarter of the UK’s entire land area, contributes £1.2Bn to the economy and employs perhaps 100,000 people, it’s not difficult to see that something has to give; that and the fact that fewer and fewer people are even eating lamb, let alone mutton. Who, you might ask, would be responsible for achieving this massive change in the way land is used, how would farmers be supported in that transition, and what would we all be eating? Could it possibly be the Department for the Environment, Food, Farming and so on. Yes – this all sits squarely in Defra’s lap. But they are far too busy to be worrying about such trifles. Defra is preparing for the increasingly likely prospect that the UK will crash out of the EU next March. As a result, like some vast black hole operating within Whitehall, they have been sucking (400 so far) staff from wherever they can be drawn, to work on the Big Brexit Panic. Natural England has already lost so many staff that it is struggling to continue with its own work. And now we hear that the Environment Agency is also succumbing to the gravitational pull of that Brexit black hole. Mary Creagh, chair of the Environmental Audit Committee, lambasted Defra recently for undermining Natural England’s work: “Preparations for leaving the EU must not get in the way of protecting our treasured natural spaces and iconic British wildlife.” Well quite. But Natural England has other problems. It’s Chief Executive James Cross walked out of his job on the 9th November, to be replaced by Plantlife’s Chief Exec Marian Spain, at least initially on an interim basis. Marian joined Natural England’s Board just seven months ago, as a non-executive Director. I can’t help thinking that it’s extremely unusual for a non-exec, whose role is to scrutinise the performance of an organisation and ensure that it’s working to achieve its objectives, jumps across to run the organisation; especially after such a short time in that role. To me it smacks a bit of panic. Meanwhile more Beavers are being released – this time in Essex. Mr Gove is very keen on bringing Beavers back – though perhaps his hollowing out of Natural England to feed the Brexit monster inside Defra is having unintended consequences. It’s been brought to my attention that Natural England has released some guidance on where to get your Beavers from, if you want to introduce them in to the UK. The guidance lists some EU countries where wild Beavers can be captured for translocation – and includes Finland, Ireland, Norway and Malta. Now, neither Ireland nor Malta have supported Beavers for centuries. And at least half of the Beavers in Finland are Canadian Beavers, which are invasive and outcompete the Eurasian native Beavers. They are also very difficult to tell apart. If it does turn out that he leaves as a result of the’ Best Brexit Deal Ever,’ Michael Gove’s tenure at Defra has been unique: He has pushed through an agriculture bill which just might (will have) lay (laid) the foundations for the sort of radical land use changes the Climate Change Committee, and others, are saying are so desperately needed. Gove’s also been at the front pushing for Beavers to be re-introduced widely across the UK – in the first tangible example of rewilding to be seen, at least in the lowlands. But his Brexit (and it’s his fingerprints that are all over this particular crime scene) has also created the chaos that may not only undermine all the good work he has done, but make things significantly worse for the Environment – and for us. European Laws set to be ignored, as Outer M25 rears its ugly head again. News that the Government has decided to opt for the most environmentally damaging route for the “brain belt” road between Oxford and Cambridge, reminded me that the bright future of the past – when everyone owns a car and can drive freely, anywhere, anytime – is still with us. It is literally, and figuratively, more than half a life-time ago, when I took part in my first road protest. Well that’s not strictly true. I come from a family of road protesters. In the 1960’s, my mum was part of a group which campaigned against part of the M11 motorway being constructed through the lovely, historic landscape of Wanstead Park in East London (they won). In the 1970s, we lived on a suburban road which had become the most extraordinary rat-run. Down this road charged juggernauts, coaches and cars, all seeking to avoid a bottleneck, to get on (and off) the A12 which linked London to East Anglia. After years of campaigning, in 1975, the Council agreed to close the road. But there were such howls of protest from the road lobby (and I guess the queues elsewhere must have been spectacular) that the barriers were removed, after five days. This was my first lesson in environmental campaigning – be prepared for victories to be short, and hollow. By 1991, I was a young conservationist (still with hair) in my first professional job working for the Berks Bucks and Oxon Naturalists Trust (now BBOWT). The Roads for Prosperity policy document had been published in 1989, the same year that Margaret Thatcher made her famous climate change speech to the UN. Clearly, there was no connection being made between building new roads and climate change – at least in that Government. And when I say new roads, I mean LOTS of them. Even looking back it seems extraordinary that anyone could have come up with the idea of making the M25 12 lanes wide, all the way round. And not just come up with the idea, but actually publish it in a White Paper. One of the other proposals was a new road (which we dubbed “The Outer M25” – from the Suffolk Ports of Harwich and Felixstowe, all the way down to the M40, or possibly even the M4 – it wasn’t entirely clear on where they would stop (Southampton?). But the way this was being presented at local level was just a lot of individual bypasses, including for Aylesbury, where I was living. In fact, the bypass was proposed to cross the very farm in which I was renting a room. Naturally the farmer and her partner were equally horrified. We thought why not mock up the bypass using black plastic sheeting and stage an event and invite the press. We made some mock traffic signs, including some particularly fine signs depicting squashed animals with tyre marks across them and managed to get on the local BBC news and in the local press. Meanwhile the Rothschilds, whose estate just up the road at Wing was also destined to be sliced in half by a dual carriageway, were unhappy. Perhaps they had a quiet private word with Mrs T.
By 1992, the anti-road protest movement was in full swing, culminating in the Twyford Down protests which galliantly failed to prevent the M3 extension, but were pivotal in achieving a change of heart. Other protests followed (including one in my own back yard at Wanstead.) 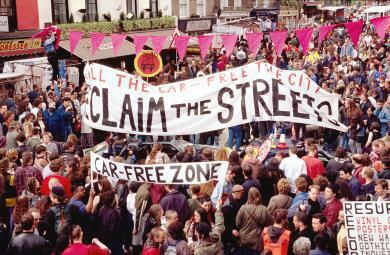 and Reclaim the Streets started to organise events of a different kind. In any case, by March 1994, the Government was in full retreat, with 49 of the schemes outlined in Roads for Prosperity being abandoned – including the Aylesbury and Wing bypasses and the “outer M25” or east-west route as it was formally known. Ironically the farm is now going to be developed for nature-friendly housing, including a new Aylesbury relief road. The idea for an outer M25 didn’t go away. Indeed, in the intervening 27 years, much of this east-west route has been built, as a series of bypasses and link roads. The missing link is from the M1 to the M40 i.e. through North Buckinghamshire, one way or another. Grayling is ignoring European Law – now why might that be? Could it be because he thinks he can get away with it just as we are about to leave the EU? Could it be because he knows that after Brexit, the new environmental watchdog set to be created to replace the role previously undertaken by the European Commission (and European Court of Justice) will have no teeth? You might well ask these questions. In traditional Department of Transport style, the public has been presented with three options for the route across east Oxfordshire and north Buckinghamshire. Although they were all very environmentally damaging, option B offered far and away the most environmental damage. 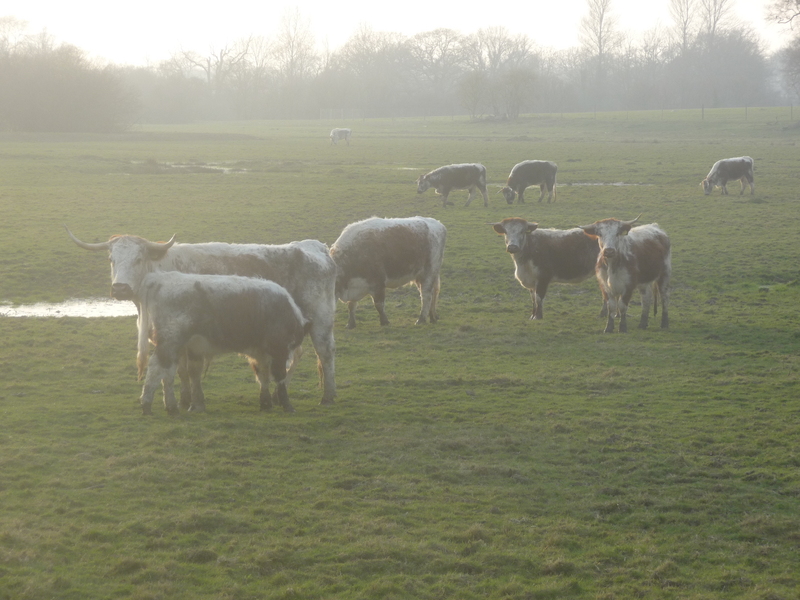 The internationally important Oxford floodplain meadows are threatened, as are irreplaceable ancient woodlands and wildflower meadows in Bernwood Forest. This was pointed out to DaFT (Department for Transport). So, of course, that’s the one Grayling has chosen. As this map notes, the road is described as a “missing strategic link” – and it’s one that the Transport Department has been mulling over since at least 1983. This map from an old Department for Transport publication shows that back then, the plan was for a road to cross Buckinghamshire along a surprisingly similar line – it’s so old that Milton Keynes isn’t shown on it!